Oakland Police Deputy Chief Darren Allison. 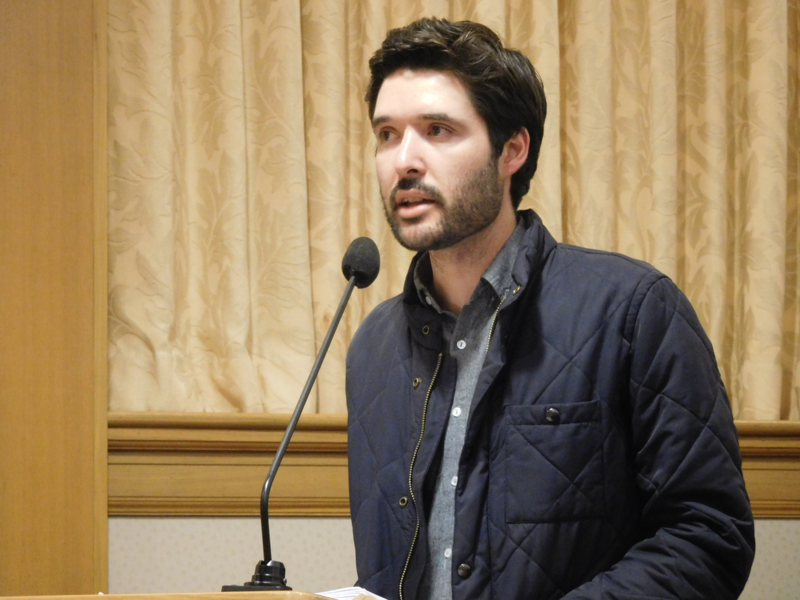 Oakland's privacy commission held its second ever meeting last night, and on the agenda was a first: a public presentation by a police officer to a civilian oversight body about the use of cell-site simulators. 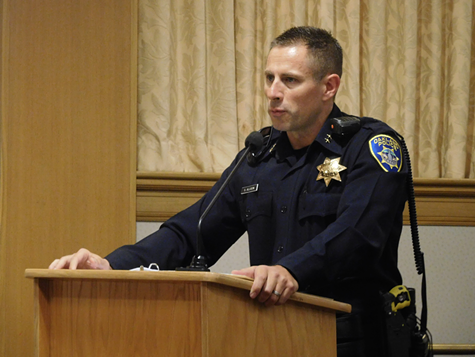 "Oakland has had a Stingray since 2006 and this is the first time there's been a public presentation about this," said Brian Hofer, the chair of the privacy commission. In a brief presentation, Oakland Police Deputy Chief Darren Allison told the commissioners about the capabilities and uses of several cell-site simulator devices used by the Alameda County District Attorney and the Oakland police. Cell site simulators, known commonly as Stingrays, trick cell phones into thinking they're cellular towers. As a result, cell phones send data to the Stingray. This data can include everything from a phone's signal strength to actual text messages and audio of phone calls. DC Allison said, however, that the Stingrays currently used by OPD haven't had the capability to intercept text messages, phone calls, or other communications content. Instead, according to Allison, OPD's use of cell-site simulators has been restricted to gathering three things: the unique identifying numbers of cell phones in a given area; the signal strength of a phone; and the approximate compass direction of the phone in relation to the Stingray. The Stingray device used by OPD is housed in an unmarked vehicle that can be quickly deployed around the city. OPD uses Stingrays to track down fugitives, said Allison, but only after getting an arrest warrant. In some cases, the Stingray can be used to track a suspect without a warrant, explained Allison, but there must be exigent circumstances. He added that the Stingray can also be used in settings like a natural disaster to locate people beneath rubble, or to find a kidnapped person. Matt Cagle of the ACLU Northern California. Matt Cagle, an attorney with the ACLU of Northern California was also on hand to talk about potential threats to civil liberties caused by the proliferation of Stingrays among US police agencies. According to Cagle, police forces across the country obtained Stingrays and used them for years in secret. Their existence was only disclosed by attorneys, researchers, and civil rights activists who pried information from local and state governments. Cagle said one major problem with Stingrays is that they can be used in a dragnet fashion to gather information on the whereabouts and associations of individuals, and that this could be in violation of constitutional rights. Hofer said that the Stingray currently in use by OPD and the District Attorney was configured by its manufacturer Harris Corporation so that it cannot intercept the content of communications. But several other commissions questioned whether it's possible to verify this. 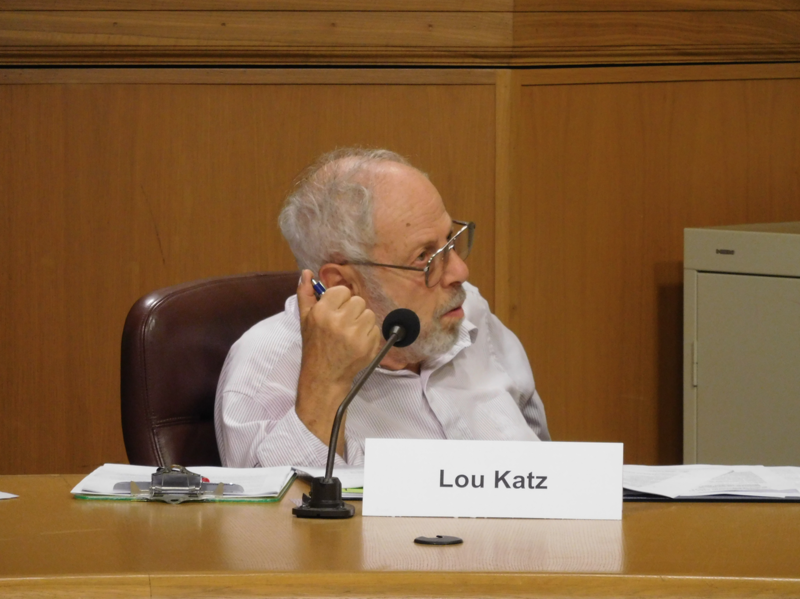 Commissioner Lou Katz asked Allison whether the police would be willing to share the device's "specs sheet" with the privacy commission to show exactly what capabilities are built into it. Allison responded that OPD does not hold these records and can't turn them over because they're the property of Alameda County District Attorney Nancy O'Malley. O'Malley's office took the lead on obtaining the newest model cell-site simulator, a Hailstorm, last year. "It should be noted then that we are unable to verify the actual capabilities," said Commissioner Katz. The commission is tasked with drafting use policies for the Stingray that will be forwarded to the city council. The item will be taken up again next month by the commission. Correction: the original version of this story identified Darren Allison's rank as captain. Allson is a deputy chief.